The government has acted swiftly to ease the situation of long queues at ATMs and the scarcity of cash that has hit India since the Rs. 500 and Rs. 1000 notes ceased to be legal tender. Prime Minister Narendra Modi chaired a high level meeting today, and came up with a slew of announcements that relax certain rules on the strict issuance of currency. The limit of old and now defunct Rs 500 and Rs 1000 rupee notes that can be exchanged for freshly minted Rs 2000 and new Rs 500 notes was increased from Rs 4000 to Rs 4500 per day. The new Rs. 500 note is now being issued by banks. The new Rs. 500 and Rs. 2000 notes can’t be currently dispensed by ATMs, and recalibration of ATMs is expected to be finished in two weeks. There are also some numbers out on the extent of cash that’s been recovered by banks. In the first four days ( from November 10th to 13th , upto 5 pm ) about Rs 3.0 lacs crores of old Rs 500/- and 1000/- bank notes have been deposited in the banking system and about Rs 50,000 crores have been dispensed to customers by either withdrawal from their accounts or withdrawal from ATM’s or by exchange at the counter. 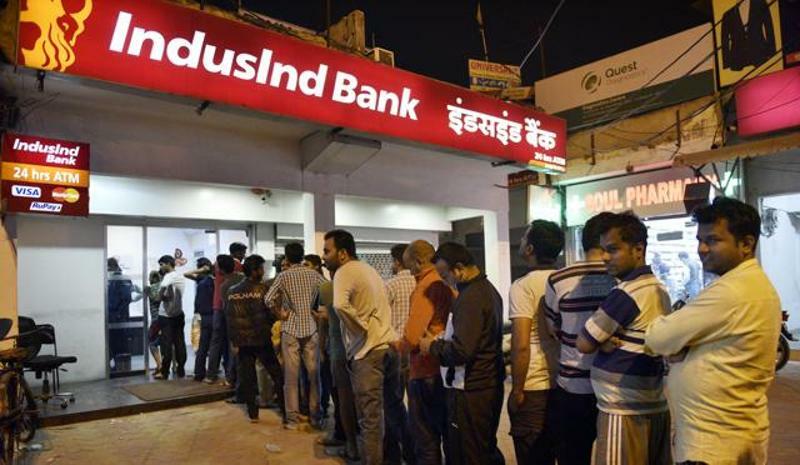 Within three four days , the banking system has handled about 21 crore transactions.